Drawing of Leocottus kesslerii, one of the more plesiomorphic of Baikal's sculpins, from here. In a post that appeared on this site some seven years ago, I briefly introduced you to the sculpins of Lake Baikal. Sculpins, to quickly recap, are a group of bottom-dwelling fish found in Eurasia and North America, both in marine and freshwater habitats. At some point, a representative of the freshwater sculpins entered the massive Siberian lake known as Baikal, where it gave rise to one of the world's classic adaptive radiations. To date, about thirty species of sculpin have been described from Lake Baikal. The level of morphological divergence between these species is such that they have been classified in the past into three separate families: while some were placed in the widespread family Cottidae, others were placed in two families endemic to Baikal, the Abyssocottidae and Comephoridae. However, phylogenetic analyses indicate that all the Baikalian sculpins originated from a single ancestor, and the entire clade is nested not only within the Cottidae but also within the genus Cottus (Kontula et al. 2003). Some of the Baikalian sculpins, such as the relatively basal Leocottus kessleri, retain a habitus and lifestyle similar to those of other sculpins elsewhere. Others, such as the golomyankas of the genus Comephorus, have become remarkably modified. 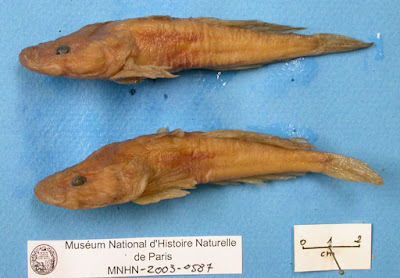 Specimens of Abyssocottus korotneffi, copyright Muséum National d'Histoire Naturelle. The greatest diversity of Baikalian sculpins has resulted from their radiation into the lake's deep waters, which reach over 1600 metres (Sideleva 1996). This is a habitat unparalleled in any other freshwater lake. The only other great lakes reaching even comparable depths are the rift lakes Malawi and Tanganyika in Africa (the great lakes of North America, in contrast, are reasonably shallow). In the African lakes, the water quickly becomes anoxic below a fairly shallow top layer, and so the depths are devoid of multicellular life. Baikal, in contrast, is oxygenated all the way down (in this post, I speculated that this was due to Baikal's hydrothermal vents; it seems I was wrong. Baikal is oxygenated because the change in surface water temperature between summer and winter results in water circulating between layers and drawing oxygen down; in the tropical great lakes, where surface temperature remains fairly constant all year round, this circulation doesn't happen). The bulk of Baikal's deep-water sculpins make up the prior family Abyssocottidae, and exhibit adaptations similar to those seen in many marine deep-water fish. Their retinal structure has become simplified as a result of low light conditions. Their scales are reduced, and the lateral line system is composed of neuromasts exposed directly on the surface of the skin rather than contained in sub-surface canals and exposed to the outside environment via pores. The convergences between 'abyssocottids' and marine deep-sea fishes are so marked that some authors previously used them to argue for a direct marine ancestry of the Baikal fish (perhaps through a direct connection between Baikal and the sea that was once thought to have existed in the past), but this has been firmly quashed by the more recent molecular analyses. Instead, the majority of Baikal's deep-waters sculpins form a single clade that originated from shallower-water ancestors; the only exception is the genus Procottus, which includes both shallow-water and deep-water species (Kontula et al. 2003). Golomyanka Comephorus dybowskii, from here. Possibly sister to this deep-water clade are the aforementioned two species of golomyanka in the genus Comephorus. 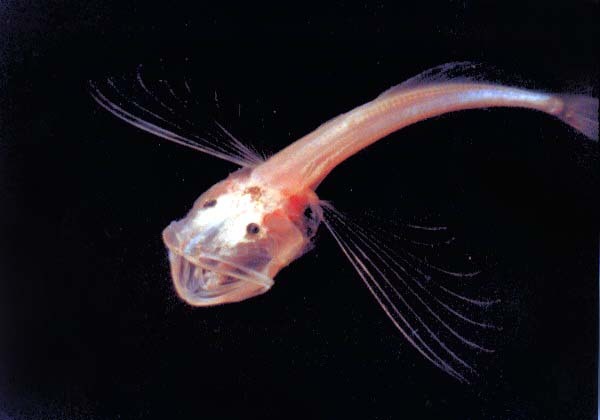 The golomyankas are without question the most bizarre members of the Baikalian sculpin radiation. They have become adapted to a pelagic mode of life, swimming in the open water column and feeding on Baikal's similarly remarkable pelagic amphipod Macrohectopus branickii (and as remarkable as Lake Baikal's sculpins are, they are nothing compared to its amphipods). It is not a simple matter for a sculpin to swim freely: they lost their swim bladders at an earlier stage in their evolution, so their native position is quite closely associated to the water's bed. To correct for this ancestral lack of buoyancy, golomyankas have lost their covering of scales and developed a low-density body structure that contains a high proportion of oil, about one-third of their total mass. Their pectoral fins have become greatly enlarged, covering about twice the area of the remainder of the body. The end result is that golomyankas are close to neutral buoyancy, and able to simply float in water column, waiting to ambush passing prey. Golomyankas are also distinctive in their reproductive biology. Other sculpins lay their eggs in nests among stones, where they are tended by the male until they hatch. This includes the Baikalian genus Cottocomephorus, which has adopted a partially pelagic life comparable to that of Comephorus, but not to the same extent (Cottocomephorus species resemble Comephorus in having enlarged pectoral fins, but are otherwise more typically sculpin-like). Golomyankas, in contrast, are viviparous, releasing active larvae directly into the water column. Golomyankas are by far the most abundant fish in Lake Baikal, and a major component in the diet of other fish species (including, when young, other golomyankas). They are one of the key components in making Lake Baikal what it is, the world's only freshwater sea. Kontula, T., S. V. Kirilchik & R. Väinölä. 2003. Endemic diversification of the monophyletic cottoid fish species flock in Lake Baikal explored with mtDNA sequencing. Molecular Phylogenetics and Evolution 27 (1): 143–155. Sideleva, V. G. 1996. Comparative character of the deep-water and inshore cottoid fishes endemic to Lake Baikal. 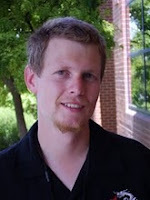 Journal of Fish Biology 49 (Suppl. A): 192–206. Why is externalizing the lateral line system advantageous for deepsea (or deeplake) fish? I just may have to add golomyankas to my ever-growing list of favorite animals, though that would be redundant considering that the only animals I don't admire are the peskiest of culicids! Truly amazing! Is the story that Lake Baikal or its predecessors when the ancestor of its sculpins arrived had a fairly small variety of fish, so there were lots of vacant niches for the sculpins to evolve into? Thank you for posting this-- I would never have guessed there were critters like this. Andreas: externalising the lateral line presumably increases sensitivity (which would be a distinct advantage in the food-poor deepwater environment), albeit at the cost of protection. Allen: I've been wondering myself about why sculpins got the edge. There are certainly other fish in the lake (salmon, sturgeons, perch, etc.) but none that went through a similar radiation. Indeed, I think most (if not all) of the other fish in Baikal are species that are also found in the surrounding waterways. Did sculpins simply get there first? The molecular data (which is pretty much all we've got to go on in this respect) suggests that the Baikal sculpin radiation may be quite recent, maybe only a couple of million years old, much younger than Lake Baikal itself. Still, the Pleistocene glaciations would have hit that area pretty hard; maybe they wiped out any older fish fauna? Alternatively, maybe sculpins diversified because their rock-nesting behaviour had them reproducing within the confines of the lake itself, while other fish travelled into surrounding rivers or even to the sea to reproduce. Hawaiian Honeycreepers too radiated extensively even though it looks like they were a more recent colonization that other bird lineages (mohoidae) (Fleischer, 2008) (Lerner, 2011). Any the other indigenous fish taxa of Baikal thought to have an older colonization event? Lake Baikal freshwater biota just seems awesome! 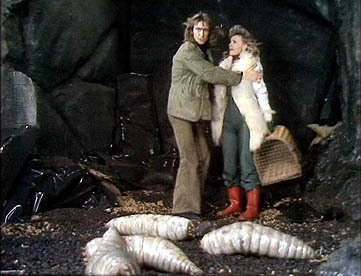 Have you ever written about the Baikal invertebrates in the past Chris? I did once briefly refer to the benedictiines, a Baikal-endemic group of gastropods, but I had only been able to find a limited amount of information on them. I don't know if there are any colonisation time estimates for other Baikal fish species; as indicated above, they are mostly little diversified from fish species in surrounding waterways, so there is little reason to assume a great age for them. I should have probably mentioned that a lot of the coverage of the Baikal biota (particularly the taxonomic work) seems to be in Russian monographs that are often not readily accessible (at least in this part of the world). A couple of the illustrations used in this post come from a quite extensive website on the fauna found in and around Lake Baikal: it's in Russian, but is well illustrated. A couple of days after I've been speculating about the disconnect between the age of the Baikal sculpin radiation and the age of the lake, I see this paper referring to the possibility that, while Lake Baikal as a whole is fairly old, the deep-water habitable zone within the lake may not be.